Hey everyone, I’m Shawn Baxter (Snow) from Capcom-Unity. 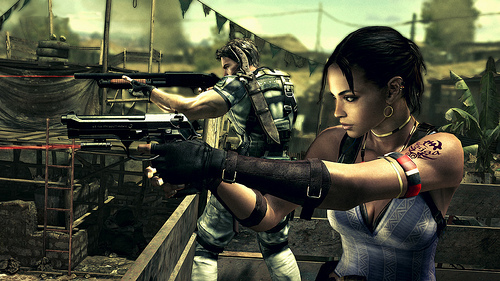 Our amazing Resident Evil 5 Demo goes live today on PSN, so I thought I’d tease you a bit with some of the cool things to expect, whether you’re an old fan or new to the series. One of the first things I noticed is how good the game looks. It’s hard to get by the beauty RE5 has to offer. Better still, you get to play through two beautiful stages in the demo. Aside from the sweet graphics, there’s plenty more that the demo has to offer.